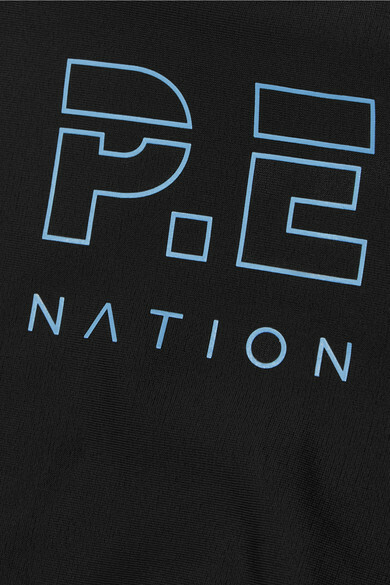 P.E NATION's name is actually the initials of the brand's founder Pip Edwards, and not an acronym for 'Physical Education' - rest assured, its collections are a notable step-up from the kit you wore in gym class. Providing medium-impact support, this sports bra is made from sculpting stretch-nylon with mesh trims and a cutout for ventilation. Pair yours with the matching leggings. Shown here with: P.E NATION Leggings, calé Sweatshirt, APL Athletic Propulsion Labs Sneakers, Bang & Olufsen Headphones.